Dr. Leonard Banza is an orthopaedic surgeon at Kamuzu Hospital in Lilongwe, Malawi where he lives today with his wife and son. “Eleven years ago, I faced the greatest challenges of my life. My family and I were refugees in a new country. We had no money or food. Our home had been destroyed. And it was a gift through Hope and Healing International that allowed me to start my life again. I was working as a doctor at the Nyankunde Mission Hospital in Congo. It was the first job I ever had, and it was there I first learned about Hope and Healing International. They had funded a community program at the hospital. Then, one day a Hope and Healing International staff member approached me and asked if I would like to become an orthopaedic surgeon. I said “Yes!” Opportunities like this were hard to come by in the Congo. So we made plans to begin my training. That was when my world turned upside down. Just a week before I was scheduled to start, war broke out between two tribes in my country. I was devastated. There were people dying all through the streets. My hospital had to stop working. Everything was a mess. Worse still, my wife and son were caught in the middle of it. I couldn’t let them stay there. They were not safe. The only solution was to leave that place with nothing but my four-year-old son in my arms and our family’s passports in my pocket. My wife and I walked 160 km through the jungles of Congo. The streets and highways were too dangerous. They were filled with check points for soldiers and battle grounds for the rebels. It was four days of walking and praying before we reached another mission hospital. Once my family was safe, I got in touch with Hope and Healing International. Fortunately, Hope and Healing International staff knew what was happening in my country, and they got us safely to Malawi. I still wanted to pursue orthopaedics. But I had no money. That was when Hope and Healing International told me a generous donor had given a gift that would pay for my training. I couldn’t believe what I was hearing. Someone who’d never met me – who didn’t know about my country’s war – they were willing to fund my training? I don’t think that donor could have possibly imagined how much that gift would mean to me. My family and I had nothing. So God used her gift to put me back into school. Thanks to this gift, I began my training in 2003. I finished my studies in 2009 and have been working in Southern Africa ever since. I am forever grateful to that donor. It’s because of her I’m an orthopaedic surgeon today. I love my job. I love helping people every day – fixing broken bones, straightening feet, stopping pain and giving children new hope. You can be sure that your legacy gift to Hope and Healing International will shine your love and values in the world, because skilled doctors like Dr. Banza are on the front lines – faithfully and passionately changing lives for years to come. When you hear of someone leaving behind a legacy, what comes to mind? A sum of money, a large estate, perhaps some valuable shares? Both co-workers of Hope and Healing International, Dr. Jonathan Pons and Dr. Narivony Razafinimpanan (fondly known as Dr. Nary) are two ophthalmologists working to eliminate preventable and curable blindness in the poorest communities in Africa. Dr. Jonathan Pons is the only ophthalmologist in Swaziland, serving over 1.1 million people. Early on in his career, Dr. Pons realized that his small eye team’s greatest contribution would be the excellence they maintained in training other eye surgeons throughout Africa. 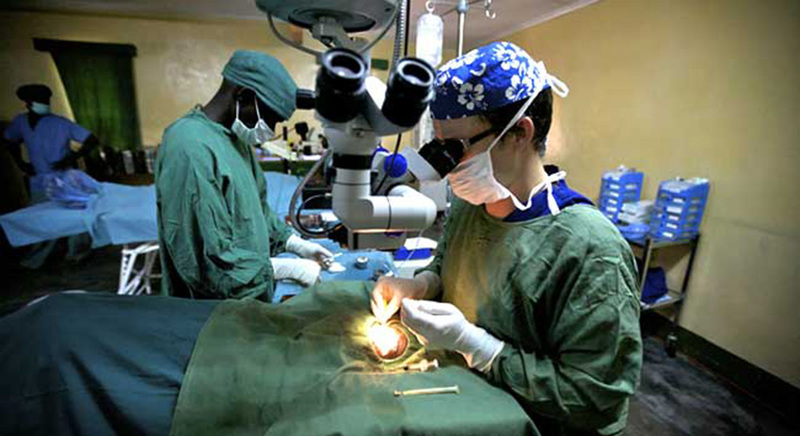 With this in mind, in May of 2006, Dr. Pons held a two week Small Incision Cataract Surgery (SICS) training session for Dr. Nary, an eye surgeon from Madagascar. Now with more than 2,100 cataract surgeries completed, Dr. Nary estimates that over his lifetime he will complete at least 7,000 cataract operations and other eye surgeries. That’s a huge number of people receiving sight! Parents can once again work and care for their families. Children can go to school. Training a cataract surgeon brings sight and fuller life to thousands of families! And as Dr. Pons and Dr. Nary physically heal those they serve, and share the love of Christ in their words and actions, they are bringing about spiritual healing as well. Dr. Colin Cook, Hope and Healing International ophthalmologist since 1996, describes the incredible satisfaction he receives from training ophthalmologists who come from nearby African countries to study at the University of Cape Town in South Africa, where he currently teaches. Dr. Cook states, “I have found for myself that training ophthalmologists has been one of the most gratifying and rewarding things in my work. Training a national ophthalmologist to do the surgery, to do the work, and then helping [by giving] them the material assistance they need… it’s a great privilege to be able to do this! “You’ll often find that [when the bandages are removed after cataract surgery] people will burst into song and dance and end up singing and dancing around the ward. 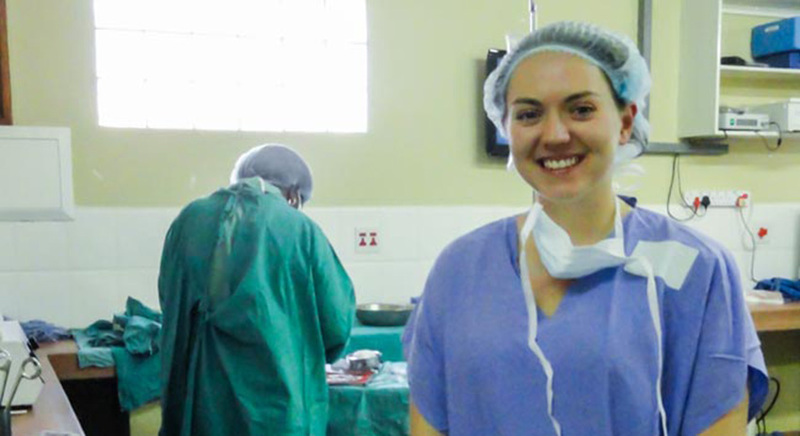 Someday, part of Dr. Cook’s personal legacy will be the highly-trained national eye surgeons who go back to their own countries and provide eye surgery for their own people. Canadians, who have left behind legacy gifts in their Wills, have helped to make it possible for Dr. Cook to train these African ophthalmologists. Their legacy lives on. Ophthalmologist and Hope and Healing International co-worker, Dr. Will Dean, served as Acting Director and Consultant Ophthalmologist at Nkhoma Eye Hospital in Malawi. We recently had the pleasure of interviewing Dr. Dean. Q: Dr. Dean, how important are gifts in Wills, also known as legacy gifts, in funding your work? Q: Can you give examples of the impact legacy gifts have compared to single donation gifts? W.D: Gladly. A single gift of $33 provides one cataract operation for one person. A legacy gift could fund a teaching operating microscope, allowing me to train four to six cataract surgeons per year – who then perform cataract surgery for thousands more (and also perhaps teach other surgeons). $14 screens one patient and brings them to the hospital. A legacy gift would fund a second 4×4 ambulance vehicle to double our outreach and screening capabilities (5,000 more people screened and 1,000 more cataract operations performed per year). Don’t get me wrong, small gifts are important – and make a substantial difference in one life. With a legacy gift, however, you can change thousands of lives. Q: Do you have any personal stories about the impact legacy gifts make? W.D: I would love to share each of the stories of the 4,000 people I have performed cataract surgery on over the past two years. I see people every day who are led by hand by their grandchild because they cannot even see the door frame they’re supposed to walk through. They haven’t seen their family for five years and do almost nothing for themselves. The next day after surgery, as the bandage is removed they are showered by colour, light and images of life around them that they had all but forgotten. Q: Dr. Dean, is there anything you would like to say to our Canadian supporters? W.D: Yes. May the Lord bless you for your compassion and grace, and bless the continuing work for people who are blind, in the name of Jesus. If you’d like more information about leaving a gift in your Will to Hope and Healing International, fill out our request information form or call 1-800-567-2264. We’d love to answer any questions you may have.